Mumbai : Radio City 91.1FM, India’s leading radio network, today announced a refreshed campaign which is a version 2.0 of its brand ideology of ‘Rag Rag Mein Daude City’. With a new brand campaign, Radio City unveiled a brand film, Taxi Driver, which takes listeners on a sensorial journey of the city. The brand film created in association with Scarecrow Communications, illustrates a blindfolded taxi driver taken through nostalgic parts of Mumbai city and being asked to guess the places he is at. The driver out of his sheer knowledge and local expertise identifies the area only by the sounds, smell and the description. The brand film highlights that the person who has the strongest connect with the city can identify the city not only with their eyes but with ears, taste and other senses. “Jinki rag rag mein city daudti ho na, woh aankhon se hi nahin, saanson se, zubaan se aur kaano se bhi city dekh lete hain. 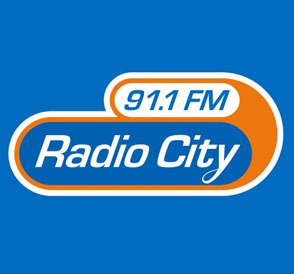 In tandem with the refreshed messaging, Radio City launched an on-air activity, ‘Kano SePehchano City’, across Hindi speaking markets. Radio City will groove to a refreshed stationality tune that will take the listeners on a city tour. The on-air campaign will witness, Radio City RJs visiting the various nooks and corners of the city, describing the place along with its sounds and asking listeners to identify the location in their respective cities. With this new campaign, Radio City focuses on being synonymous with local culture, sights and sounds in inimitable Radio City style. The 360-degree campaign aims to highlight the power of radio and convey the message of Radio City’s micro local approach and elevate their positioning of knowing the city the best.